Sri Lanka is well and truly “having its moment in the equatorial sun” Lonely Planet author Ethan Gelber says. The world may be your oyster but you can’t swallow it whole and it can be tough deciding which tasty-looking morsel to sink your teeth into first. We talked to the experts to get their tips, advice and predictions for the destinations that need to be on Kiwi traveller’s radars in 2019. Here are five countries we recommend visiting this year, either because they offer something new, are hosting interesting events or simply deserve more attention from travellers than they currently get. Adelaide is carving out a niche as the festival capital of Australia. 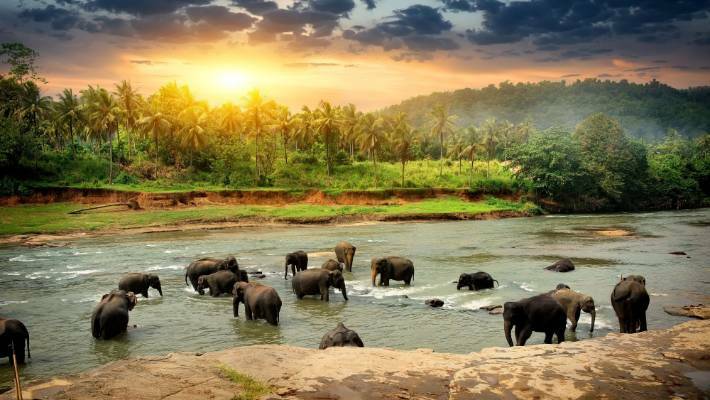 Still in the throes of civil war a decade ago, Sri Lanka has since emerged as the travel destination du jour; its seductive blend of wildlife-filled national parks, ancient cities and footprint-free Indian Ocean beaches making it a hit with adventurous travellers of all ages and budgets. 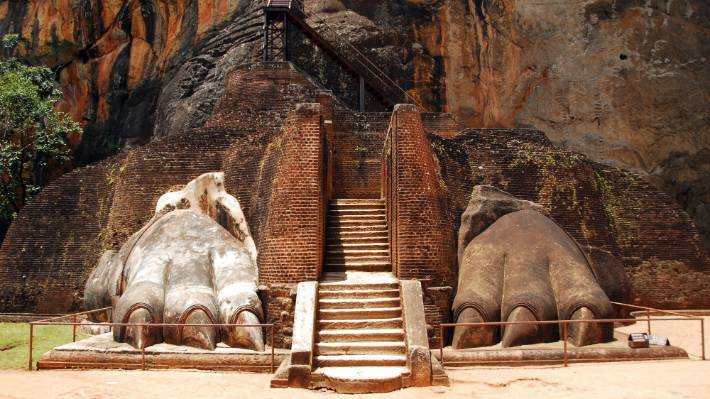 The ancient city of Sigiriya sits atop a granite peak. All this comes in a small and increasingly convenient package. Distances are relatively short and transport links are improving, bringing even formerly off-limits areas in the north and east tantalisingly close. National Geographic has described it as “kind of like having the best of Africa and Asia rolled into a single, easy-to-get-around island”. Highlights include the eight UNESCO World Heritage Sites, which include the ruins of a fifth -century palace atop a granite monolith and caves filled with Buddhist statues and paintings dating back more than 200 years; parks home to elephants, leopards, sloth bears, crocodiles and primates galore; and hiking trails through Hill Country tea plantations. Oh and a ring of often-deserted golden beaches. They might not stay that way for long though. Tourist visits to Sri Lanka have soared since the war ended, rising from 447,890 in 2009 to more than 2.1 million in 2017. Kelly Cull, head of communications for Expedia New Zealand, said interest in the country from Kiwi travellers has grown 185 per cent year on year. Get there before it becomes another Thailand or Bali. 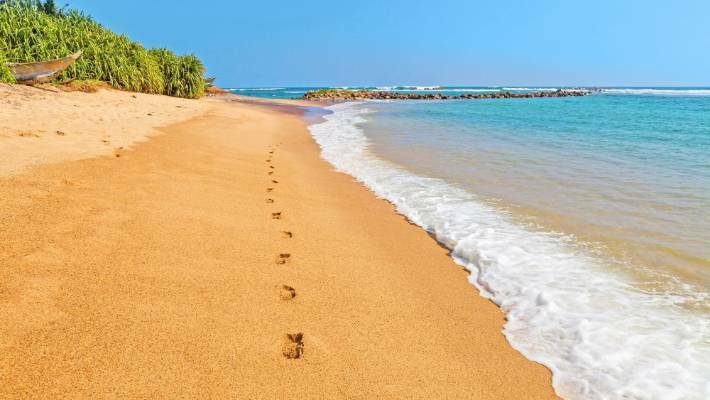 It’s not hard to find empty stretches of sand in Sri Lanka. It’s hard to get bored in a country where you can stay in a hotel staffed by robots one night and a Shingon monastery the next and with this year’s events calendar there’s absolutely no chance. Staging the ninth Rugby World Cup, and the first in Asia, from September 20 to November 2, Japan is out to prove it is the consummate host, knowing full well many will see it as a trial run for the 2020 Olympics. The 12 host cities for the World Cup include Tokyo, where the collision of tradition and ultra-modernity makes a rubbernecker out of many a foreign tourist; Sapporo, famous for its skiing, February snow festival and beer; Kumamoto, where the centrepiece 17th century castle once kept rival ninjas and samurai at bay and Higashi-Osaka City, where the unofficial slogan is kuidaore (eat yourself bankrupt). 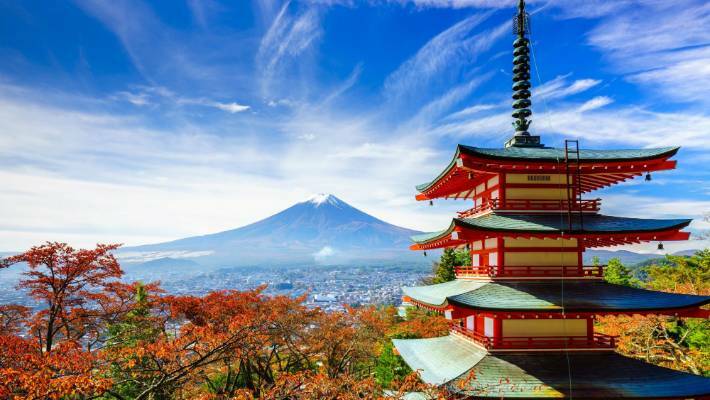 House of Travel product director Dave Fordyce said the agency expects hundreds of New Zealanders to visit Japan for the World Cup. Bewildering but brilliant: Japan’s incomparable capital. If you do want to catch a game or few, you’ll need to get in quick. The public ballot closed last November but more tickets go on sale on January 19. Register in advance at rugbyworldcup.com. Art lovers also have an ideal excuse to fork out for a trip to Japan this year – the Setouchi Triennale is returning to the Seto Inland Sea – lauded by Traveller.com.au as “Japan’s best kept secret” – for, as the name suggests, the first time in three years. Spanning a dozen islands and the cities of Takamatsu and Uno, the event will feature works from more than 200 art galleries and museums as well as independent local artists. The festival, a big hit with the international art crowd since its 2010 launch, runs in three phases from April 26 to November 4. End the day on Naoshima Island, home to a subterranean art museum whose world-class collection includes a resurrected traditional village filled with site-specific installations, with a soak at the I Love Yu onsen. Part art installation, part public bathhouse, it offers a possibly once-in-a-lifetime opportunity to view contemporary Japanese paintings, posters, painted glass ceilings, collages and ceramics with a bevvie of like-minded strangers in the buff. 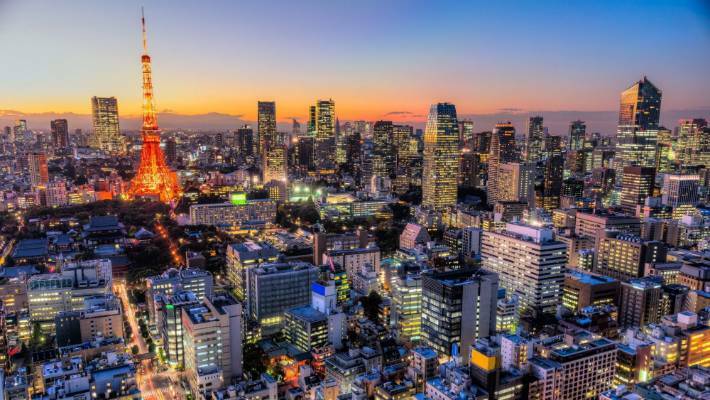 Nature, culture, delicious food, rugby … it’s not hard to find reasons to justify an airfare to Japan. Conflict in neighbouring countries has hit Jordan’s tourism sector hard in recent years, but it was only a matter of time before its World Heritage sites, Lawrence of Arabia landscapes (the iconic 1960s film was shot there) and clues to the history and development of Christianity and Islam drew visitors back. In their droves. “[I]t’s safe to say Jordan’s tourism is back, mainly as a result of stability in neighbouring Egypt,” Adrian Piotto, managing director of G Adventures Australia and New Zealand said. Jordan has long been considered a safe haven in a volatile region and, while SafeTravel advises Kiwis to avoid non-essential travel to the borders with Syria and Iraq and to “exercise increased caution” in other parts of the country, it also recommends exercising increased caution in Indonesia and France. 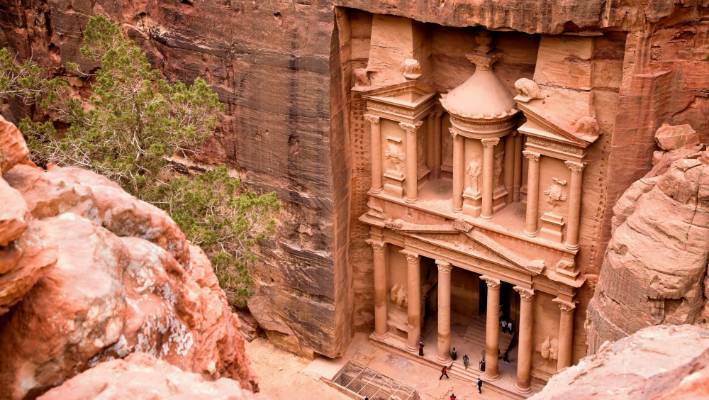 The Treasury in the ancient city of Petra was named one of the new seven wonders of the world in 2007. Craig Platt, managing editor of Traveller.com.au, described Jordan as “blissfully peaceful and safe” and an “oasis of calm” after a recent trip there, questioning why more people aren’t visiting. One of the best ways to take it all in, Lonely Planet, which included it in the Best of Travel 2019, is to hike the 650km Jordan Trail. You’ll visit the Dead Sea, a “mindblowing Rift Valley landscape crumpled with canyons and made green after flash floods” and fields of “wildflowers strewn over crusader castles” in a likely life-changing 36-days. The Dead Sea – which borders Jordan, Israel and the West Bank – is receding, so catch it while you can. 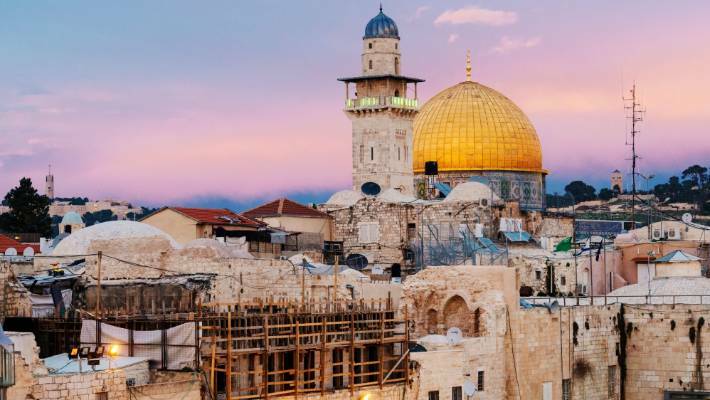 Israel’s complicated politics are inescapable, both in the media and on the ground, but that’s no reason to deprive yourself of a visit to a land considered sacred to Christians, Jews and Muslims alike. Soak up the history in Jerusalem and Nazareth, hit up the beaches, bars and Bauhaus-designed buildings in Tel Aviv (the party capital of the Middle East) and follow in Jesus’ footsteps on the 65km Jesus Trail. More than a Christian pilgrimage, the hike begins in Nazareth and passes through the Galilee landscape Jesus is said to have grown up along with Arab and Jewish villages before finishing at the ruins of Capernaum. But you don’t have to wear out your knee joints to see the Holy Land’s sacred splendours. The Church of the Holy Sepulchre, the Western Hall and the Dome of the Rock are all found within the walls of Jerusalem’s Old City. Other highlights include the Coenaculum of the Last Supper on Mt Zion, which is home to King David’s tomb; the landscaped terraces of the Baha’i Gardens in Haifa and, as in Jordan, swimming in the Dead Sea. Also as with Jordan, you will need to decide for yourself whether you feel comfortable visiting. SafeTravel recommends avoiding non-essential travel to the border with Gaza and exercising increased caution elsewhere. If you do decide to go though, it’s sure to be a journey of truly biblical proportions. The Dome of the Rock in Jerusalem, said to be the oldest Islamic monument still in existence, is sacred to Muslims and Jews. 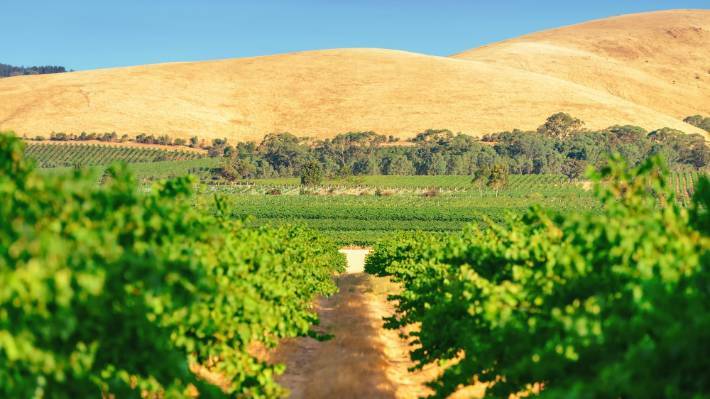 New Zealanders may consider Australia a second home, but Jarrod Patterson, general manager of Flight Centre’s corporate travel arm FCM Travel Solutions, says Adelaide and the surrounding wine regions are still relatively undiscovered by Kiwis. The city may once have been notable for its lack of notable attractions, but that’s certainly no longer the case. 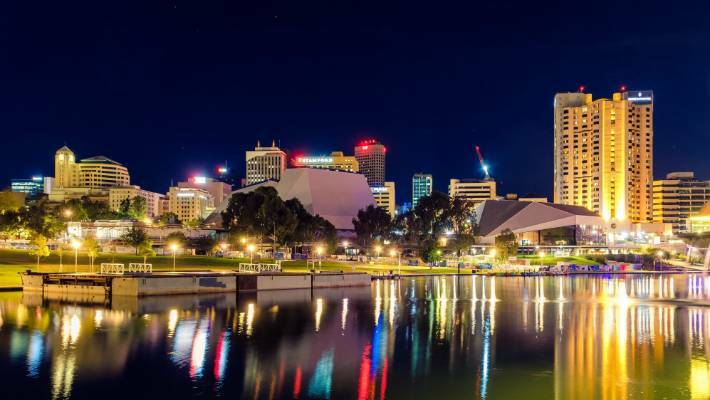 Once known as the City of Churches, the South Australian capital is carving out a niche as the City of Festivals, hosting events dedicated to the arts, culture, food, wine and sport year-round. The Adelaide Fringe, Womelaide, Spirit Festival, Cheesefest and Tour Down Under – Australia’s biggest pro-cycling event – are just a few. The Barossa Valley, one of Australia’s most famous wine regions, is 56km north-east of Adelaide. The city keeps the party going outside of major events with a new wave of hip, happening bars downtown and in suburbs such as the West End. The retro Central Market, sprinkling of sandy beaches (Henley and Aldinga are good inner-city option, but Semaphore is well worth the slightly longer drive), Art Gallery of Central Australia and Adelaide Oval will keep you busy in the city, but save time for a visit to at least one the nearby wine regions (the Barossa and Clare valleys and McLaren Vale). The Adelaide Hills is also home to numerous wineries, including Penfolds Magill Estate – along with koalas, kangaroos, wombats and Tasmanian Devils. Stroll amongst them all at Cleland Wildlife Park, before checking out the historic Germanic village of Hahndorf.